STYLE EXPERT JESS ZAINO IS TRENDSTER! I was on a fab early morning photo shoot today with the glam squad of byu-ti salon. make-up artist emily had a miracle makeup product that works wonders on blending foundation flawlessly. pick up the beautyblender pink egg sponge applicator pronto. Blend your way to a flawless face! 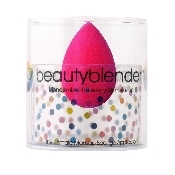 Beautyblender was created without edges in order to eliminate visible lines and streaks. Bounce Beautyblender against your face when applying make up. Bouncing, called stippling in the make up world, blends make up without creating changes in the texture or tone of your skin. Use Beutyblender’s pointed side for hard-to-reach spots like around the nose and mouth, and under the eyes. Use the round base for foundation and blush on the larger areas of your face such as your forehead, cheeks and chin. If you apply make up with your fingers you’ll find that Beautyblender will smooth and refine your make up to provide a clean finish. 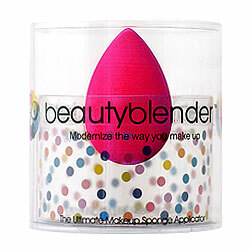 Use Beautyblender damp when applying wet/dry make up. When Beautyblender is wet it is normal for it to expand to nearly twice its original size. Wash after use and place in the Beautyblender insert pedestal to dry. You can also put Beautyblender in the Beautyblender pouch and toss it in the dryer. Be sure to use an air-dry setting; Beautyblender should not come in contact with extreme heat of any kind. If you have problem skin Beautyblender works to cover blemishes. Use the pointed end and the stipple and twist technique to work make up into depressed areas of the face. The stippling and twisting action feathers out the make up’s edges, leaving a perfect finish. The Beauty Blender: anyone tried it? When I first read about The Beauty Blender, then, I was skeptical about how good it could possibly be. I mean, it’s just an egg-shaped makeup sponge which, OK, is a hot pink colour, and I love me some hot pink, but all the same, just a sponge, right? Well, apparently wrong, if the reviews are to believed. This little makeup sponge has a celebrity following that includes the likes of Beyonce and Oprah, and apparently the shape of it helps give you a flawless finish on things like foundation, concealer, bronzer etc, while the consistency makes sure that the makeup ends up on your skin, not soaked into the sponge. So far it’s all sounding pretty good, but here’s the rub: it costs $20. Which is way more than this “doesn’t ever use sponges anyway” Dollface feels like paying at the moment. What’s the verdict, folks? Anyone used this? What did you think? You are currently browsing the Beautyblender's Blog blog archives for July, 2008.